This is a different kind of TGIF, seeing as new year very conveniently falls on a Friday. It’s been a while since I did a post, so it just feels weird writing. It’s like back in the day when we were on school holiday then school opens and you have totally forgotten how to write … like your fingers have to practice a bit first…it even pains to write…lol, that’s what I’m experiencing now, I can’t remember how to write a post. 2010 was a very good year I must say; actually it’s been the best year ever since I could remember. It’s my maturity year, year of self-discovery, self-realization. I can confidently say what I’m about. 2010, was one of those years that started without a plan, basically I was just living it as it comes. Being human, every other day I have needs, wants, desires and wishes turned into prayer. 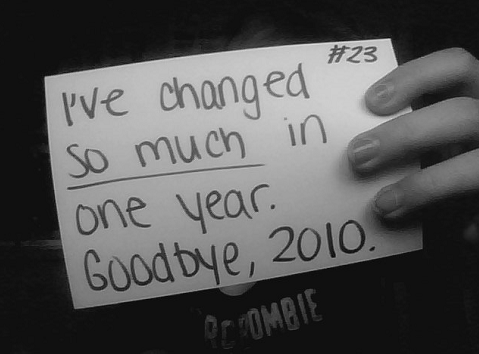 That’s how I tackled my whole year, and today I can say it didn’t backfire on me; it turned out much better than good. Somewhere in the middle of 2010, I sort of split my year into two. January – June and July – December. On this post “Good bye June, Hey July”. Looks like I jinxed myself for the best. I tend to love the 2nd part of the year better than the first. Actually, the 2nd part of the year is the sole reason I say 2010 was a very good year. It’s when everything happened … many of my first, some switches, some getting used to, and some learning’s. It wasn’t all rosy and wow’y, it got stressful, frustrating and confusing at many points but right now I’m giving myself a pat on the back because I’m out a stronger me. I’ve done what I would have otherwise done in the next like 2 years now. I started dating. Relationships can be one of the hardest things to go by and we’ve had our moments, this are two different people coming together and we all want to shine in our own way. We are still getting to know each other and understand why I would do this and not that, or why he would prefer to do this and ignore that… so yeah. Got a long way to go, but so far so good *thumbs up* ps: He’s a creative, so you can imagine the challenges involved…lol. Like he pulls a “Do you know *someone popular*” and I go like,”ummm, who’s that, just give me a hint”…and that’s just me massacre’ing a story. I changed jobs, which was like heaven for me. I wanted out and an opportunity came up. I’m telling you sometimes we can assume our friends, like they don’t know what we are all about but somewhere somehow they’ve got you when you least expect. I was suggested (for lack of a better word…my English can be challenged sometimes) by my colleague who thought I had what it takes to do the work and after a couple of interviews, my employers got my strengths and interests and I want to capitalize on that. And as for my friend, he had faith in me, so there’s no for letting them down. Christmas was spent at my parents, and my entire aim was to make them happy. So I got them gifts and totally submitted myself to helping out in the house. It worked out … I think. But I’m pretty sure I left them all happy. I actually passed the 30,000 mark on the number of viewers of my post. How cool is that. If you read what I write and look forward to my next posting … Cheers pal  . This comes from a girl who had boring compositions in primary and high school. So the fact that other people can read at least boosts my ego. 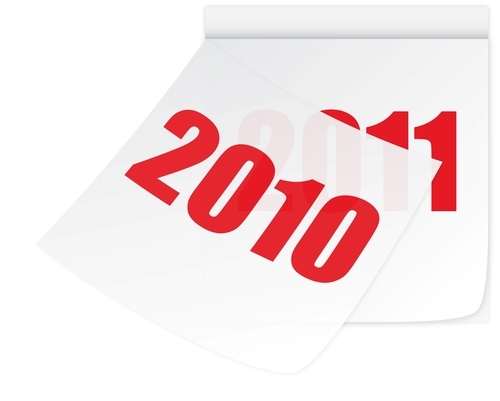 I managed to write a number of posts every single month of 2010 … January through to December… Dayum! I keep procrastinating about completing my post-graduate project and it’s due in March. Like I should have finished it by now, but thanks to procrastination, movies and series, I’m stuck on chapter 3. I lost one of my Aunties to cancer. I came to realize a bit late that she loved me so much. Like she would tell me every other time that I should take care of my folks and basically on her bed or even any time she visits she used to give me mini-life lessons. I know she’s watching over us and smiling. I had a boring birthday as usual. Maybe that’s one of the reasons I didn’t like the 1st half of the year. That needs to change SMH! I made a few youngster mistakes which I basically put behind my back. I think about it now and I’m like that was so dumb. But hey, sometimes we do dumb things so that we can realize the smart move. You know like how you have two choices and you have to choose one but you don’t know which one to pick. Sometimes there’s the chance of picking the bad choice and dropping it (not in a bad way) … and move on swiftly to the right choice. In short, 2010 is a worthwhile memory. All the people I met and made me laugh myself to tears and rib aches. All the people who believed in me, when I least expected and pushed me to explore and capitalize on my abilities. To all my friends, I may not be a good communicator *cough* but I got you. Ok, that’s lame, but I hope you gerrit. For all those who read this stuff I write here. For all the experiences in 2010, some of them could be necessary or not, some of them could be useful or not, but the fact that we are alive and able to see the end of the year is SUPER! For 2011, I have great expectations and I’m basically open to whatever comes my way that’s beneficial to my life and those who are directly affected by it. I want to broaden my horizons and my knowledge base, I want to love more, I just want to be happy. I pray for God’s blessings over me and my loved ones. He’s the one who knows what’s best for us. I’m about to start making my wish list of the year (want to start early this time round). Say Goodbye to your past mistakes, shortcomings and anything that’s been holding you back and say hello to new beginnings as you learn to look beyond your imperfections.